Global Sound Artists takes students in K-2 on a hands-on journey through the science of sound. In this course, students build their own guitar, spinning drum and pan pipe and establish an understanding of vibration, pitch and volume in the process. They learn to appreciate, culturally diverse music and exchange video messages each class period with their Global Partners from across the globe. Each project explores a different world sound – from Japan to Spain to Ecuador – further enhancing their musical experiences from a global perspective. We now have a second literature option for our Global Conversations course. In Global Conversations: The Giver, students will read and discuss Lois Lowry’s The Giver alongside students in a Global Partner classroom. Together, they will explore the impact of societal rules and cultural norms on individual free will, while determining whether Lowry is presenting readers with a utopian or dystopian society. Students and their partners will research and discuss possible solutions to one of the central issues of The Giver, such as war, hunger, access to education and discrimination, as well as problems facing each of their countries. Learn more about the impact of our first literature and cultural exchange (Global Conversations – Malala Yousafzai) by watching this video and reading these articles in Greenwich Time and Tech Insider. Global Language Lab has been expanded to include three levels of foreign language proficiency. This course provides a dynamic platform for students to engage in real interactions and practice a foreign language with native speakers. 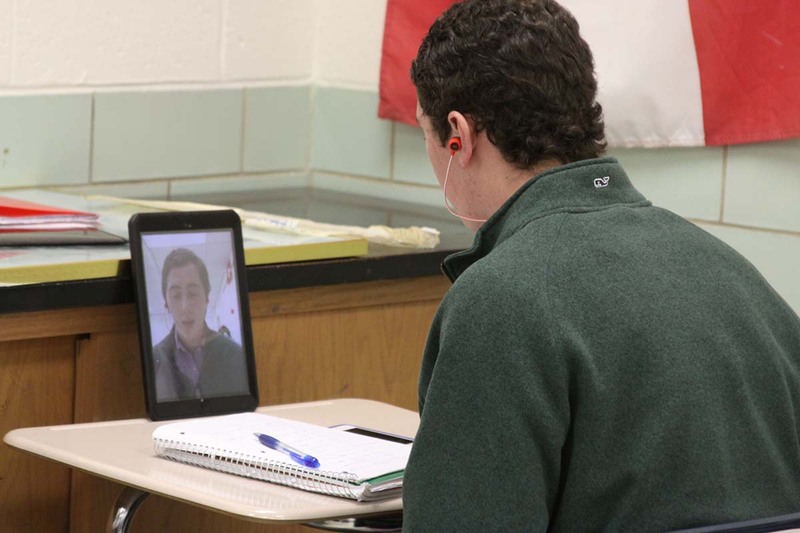 Students communicate with their Global Partners by sending and receiving video messages each class period while participating in a number of activities, including a virtual field trip to their partner’s country and exchanging a literary gift with their Global Partners. Available in Arabic or Spanish, this course is a great choice for beginner, intermediate and advanced foreign language students. Learn more by reading this article by Delbarton School and this one in Education World. This Delbarton student is recording a video message in Arabic to his partner at Pioneer Baccalaureate School in Nablus, West Bank. Global Web Designers pairs up students with Global Partners from a developing country to design and create a website focused on global climate change. While learning about hydro, wind, and solar power, students also learn to understand trends in global climate change. They will gain essential skills in website development and learn to problem solve from a global perspective. Stay tuned for a blog series by Heather Womersley at All Saints Academy about this exciting new course! In Global Explorers, students become environmental detectives and take a virtual field trip to investigate and explore different animal habitats around the world. Together with Global Partners from a developing country, they will learn about the classification of animal kingdoms as they design and create a shared final project: a green screen multimedia video presentation using videos and images of their chosen indigenous species. Princeton Junior School posted this article about Global Explorers and other Level Up Village courses offered during the school’s STEAM immersion week this spring. 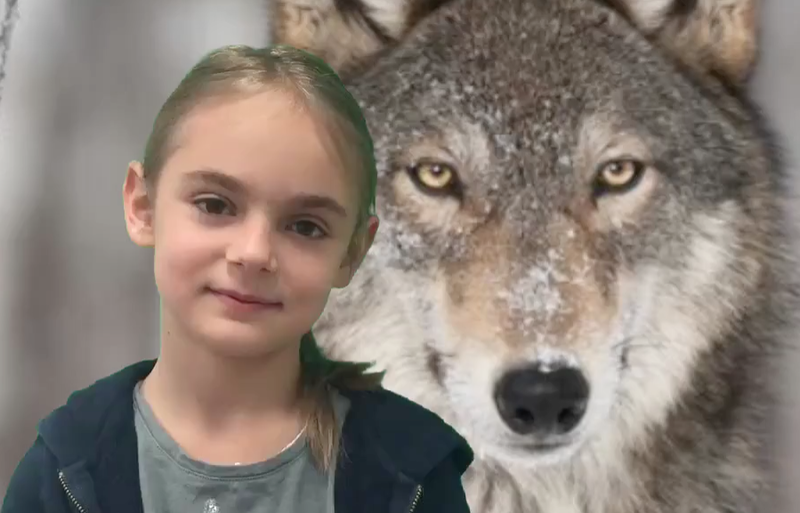 Students at Princeton Junior School created a green screen presentation about wolves as part of their Level Up Village Global Explorers course during STEAM immersion week this spring. Why do schools choose Level Up Village? We empower students to make a difference in the world through one-on-one global collaboration with real-world impact. Our courses make it easy for schools to offer students an experiential and impactful global learning experience by providing fully developed curriculum, comprehensive teacher training, and access to our network of Global Partners via our secure global communication platform. By offering Level Up Village courses, schools can also give back. Our U.S., Australian and U.K. school partners directly sponsor STEAM education in developing countries through LUV’s “Take a Class, Give a Class” model. A portion of the tuition is used to deliver the same class to the Global Partner organization on the other end of the collaboration. To get started, fill out our contact form and watch this video for an overview of how Level Up Village facilitates global STEAM collaboration. 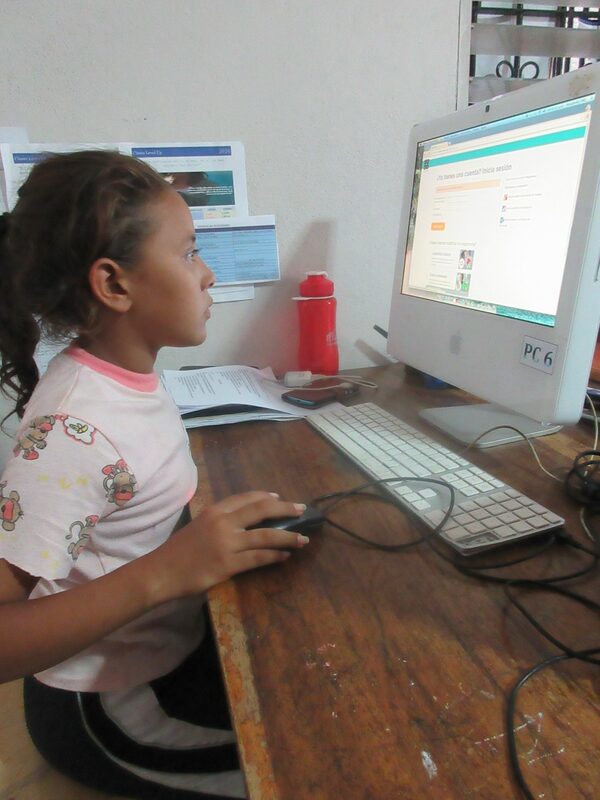 On the other end of every Level Up Village course are Global Partner students like this girl at NicaPhoto in Nicaragua. Collaborating with partners in other countries makes a powerful impact on students and enhances their learning.